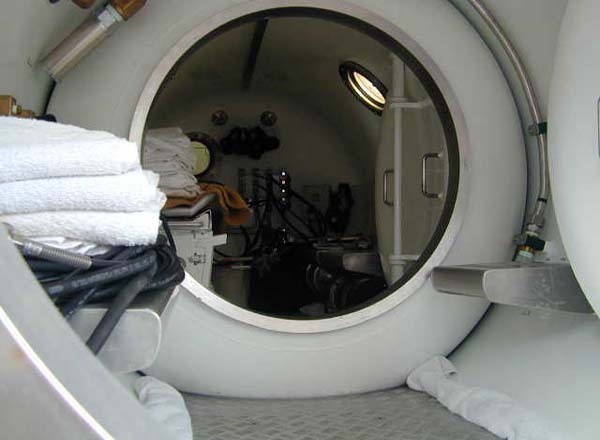 Surface-supplied divers immediately retire to this recompression chamber after their dive. Here, they breathe pure oxygen and rest until their bodies are ready. Photo courtesy of Monitor Expedition 2002, NOAA/OER.